Pretty insulting I would say, but Islam, if it really had a god that requited blasphemy as our God does, would let him act as Gideon’s father said to the mob baying to pay back his son from tearing down their idolatrous statues to Baal. Prosecutors demand 18-month term for Christian youth accused of mocking the burning of an Islamic flag. Prosecutors in Indonesia have demanded an 18-month jail term and a $715 fine for a Christian student accused of insulting Islam. Agung Kurnia Ritonga, 22, a student at the University of North Sumatra in Medan, is currently on trial for insulting Islam in an Instagram post by mocking the burning of an Islamic flag in October last year. Three Muslim youths in Garut, West Java burned a tawhid flag presumed to belong to Hizb ut-Tahrir, a banned militant group on Oct. 21, 2018. Ritonga’s Instagram post on Oct. 24, was said to have insulted the tawhid flag that has script describing the monotheistic God in Islam and God himself. Send a message to all would-be kidnappers and rapists! May these evil men be sentenced appropriately! Chengdu church members continue to suffer for Christ. Christians hoped that Nigeria’s 2019 general election would bring much-needed relief to Christians of its ravaged Middle Belt region. Their hopes were dashed when the incumbent candidate, President Buhari, won a second term in office last month. Chaos and scandal led up to the election. The government made a number of suspicious arrests, including the arrest of a key campaign director, and two offices belonging to the general election commission were burned down. The election was delayed by a week, preventing many voters from making it to the polls. When the dust settled, election officials declared that Buhari defeated his challenger, Atiku Abubakar, by more than 3 million votes amid cries of corruption from angry voters. Abubakar reportedly claimed that the election was a sham, asserting that such a large margin of victory would be statistically impossible in some states. Nigeria’s beleaguered Christian communities in the North and Middle Belt are in critical shape after enduring brutal persecution for the past two decades. Thousands of formerly vibrant Christian villages from the Middle Belt are now ghost towns as Islamic Fulani militias have systematically murdered and raped Christian communities to clear the land of Christians. It is a brutal land-grabbing strategy driven by hatred for Christians and the need for grazing land for Fulani cattle herdsmen. Buhari’s second term in office does not bode well for Christians. As the death count reaches near genocidal levels, the Buhari administration still refuses to recognize the Fulani attacks as anything more than “land scruples.” Fulani Muslims hold all top security positions in the government. They protect their own and are either incompetent or complicit in the murder of thousands of Christians. ICC is working to restore Nigeria’s broken Christian communities through communal farming assistance. Millions of Christian refugees fled from their villages to the surrounding cities for protection. Now, they need assistance to return to and repair their farms. Moving forward, ICC will continue to petition the US government to call for action from the Buhari administration. 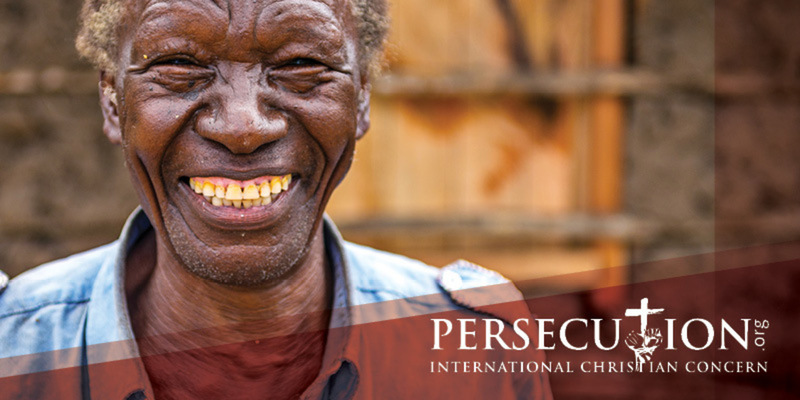 Please join us in praying for and financially supporting persecuted Christians in Nigeria. 03/13/2019 Washington, D.C. (International Christian Concern) – International Christian Concern (ICC) has learned that Stephen Masih, a 42-year-old mentally disabled Christian, was accused of committing blasphemy against the prophet of Islam. He was accused on March 11, 2019, in Badiana, a neighborhood in the district of Sialakot in Pakistan’s Punjab province. Faraz Masih, the victim’s nephew and an eyewitness, informed ICC that Masih has been mentally disabled since birth. According to Faraz, the entire neighborhood knows Stephen’s mental status and local children often tease and beat him. Stephen Masih was accused of derogatory remarks against the prophet Muhammad by Hafiz Muhammad Mudasir, a local Muslim. During the incident in question, Stephen was debating with his brother-in-law over fasting and praying during Lent. However, because of his mental state, he became exacerbated and began shouting loudly, attracting attention from the neighbors. When Mudasir reached Stephen’s house, he began beating Stephen, unprovoked. The family members protested against Mudasir’s illogical interference into the family’s matter. Mudasir, who identifies as a cleric, left Stephen’s house in anger, warning that he would teach Stephen a lesson for insulting him. Shortly after, Mudasir returned, leading a mob of angry Muslims. With direction from Mudasir, the mob began beating Stephen and other family members for the alleged crime of blasphemy. Police have registered a First Information Report (FIR) against Stephen under the country’s blasphemy laws, section 295 C of the Pakistan Penal Code. Stephen is currently in police custody. While speaking with ICC, Ayub Qaiser, Director of FGA Pakistan, said, “It is sad and shocking that blasphemy laws are being misused, even against special persons. The authorities must look into the situation and introduce amendments and special care of the mentally immature people.” Qaiser urged for protection for Stephen’s family members and a fair trial of the case.